Charlotte commenced her first six pupillage in April 2018, supervised by Lynne Shirley. She now accepts instructions in Civil, Family and Criminal law across East Anglia. 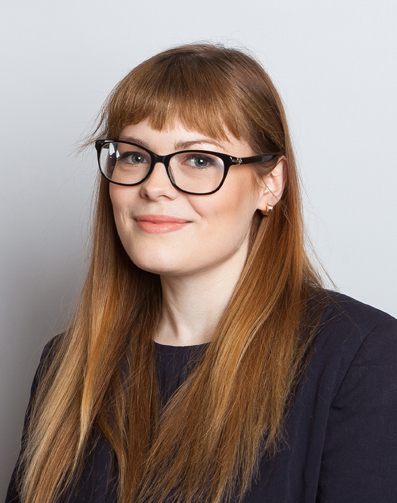 Before joining East Anglian Chambers, Charlotte worked as a paralegal for a high street solicitor’s firm in the West Midlands and at the Criminal Cases Review Commission, whilst she studied her BPTC part time. The internship at the Criminal Cases Review Commission was offered as part of the Kalisher Trust Scholarship scheme which recognised her aptitude to succeed at the criminal bar. During her time as a paralegal, Charlotte worked across the family and litigation departments, gaining experience in boundary disputes, small debt claims, domestic violence, divorce and both public and private family cases. She advised clients as part of the free advice service in Employment and Civil Litigation, and represented clients in non-molestation applications and in Looked After Child reviews and Public Law Outline Meetings. Whilst working at the Criminal Cases Review Commission, Charlotte gained an in-depth knowledge of criminal procedure from a unique perspective. She both managed her own caseload of cases for review and drafted responses to the Judicial Review Claims against the Commission to go to the Administrative Court. Charlotte was awarded a scholarship by Inner Temple to undertake the BPTC. She was also awarded advocacy and performance scholarships by the University of Law and a wig scholarship upon the completion of her studies. Charlotte regularly accepts instructions in fast track and small claims trials, disposal hearings, interim applications and possession matters, and is also available to advise and draft documents. She also has acted in cases including issues of of employment law, restoring companies to the register, and removing County Court judgments from the register. Charlotte regularly appears in the criminal courts, including both prosecuting and defending in the Magistrates’ and Youth Courts. She has experience cross examining vulnerable witnesses with mental difficulties in sensitive situations. She is available to deal with a range of Crown Court matters including sentencing hearings, plea and trial preparation hearings, probation matters and applications by the police. Charlotte frequently acts on Family Law Act and Children Act matters from FHDRAs to Final Hearings including fact findings, and also undertakes care work on behalf of all parties involved. She also has experience in dealing with non-molestation orders, as well as other ancillary applications.